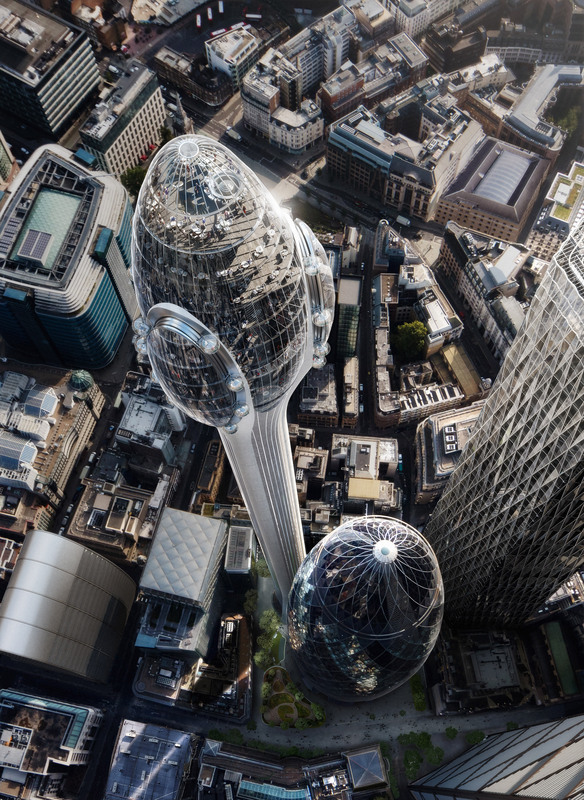 The City of London has said that Foster + Partners‘ 305-metre-high The Tulip has “the potential to become an architectural icon”, in its planning report on the proposed tourist attraction. 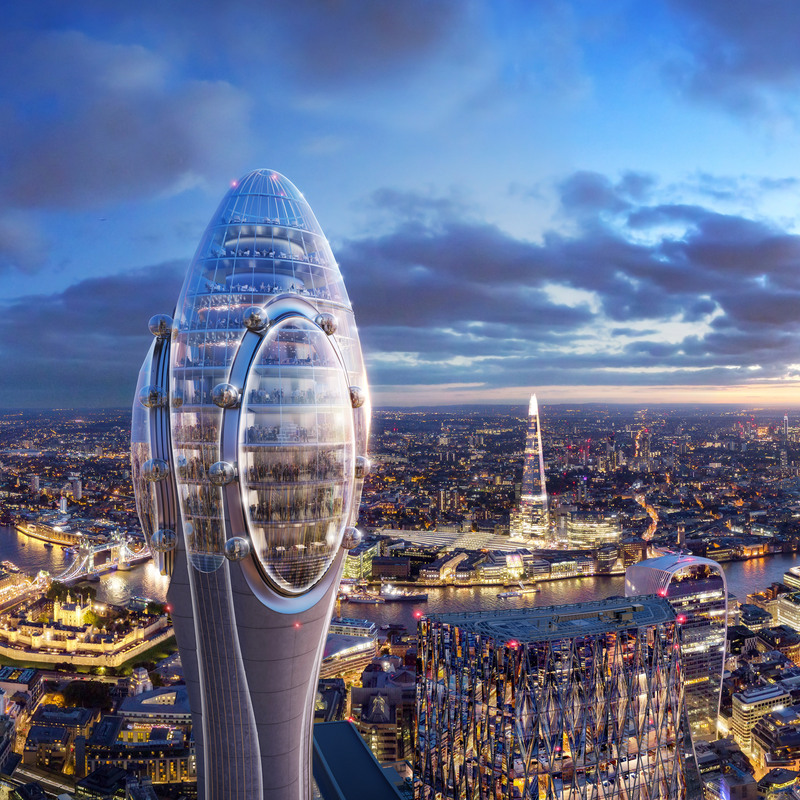 The Tulip is now on track to be given planning permission, despite the city’s mayor Sadiq Khan objecting on the grounds that it does not comply with the London Plan. London City Airport had also raised concerns that the supertall viewpoint could interrupt its radar system. “Virtually no major development proposal is in complete compliance with all policies,” reads the report. Planning officers noted that The Tulip, which would feature a multi-deck glass viewing platform with internal slides and a set of rotating gondolas on the exterior, was “highly unusual”. The Tulip would sprout next to 30 St Mary’s Axe – nicknamed the Gherkin – the 180-metre skyscraper by Foster + Partners that won the Royal Institute of British Architects (RIBA) Stirling Prize in 2004. 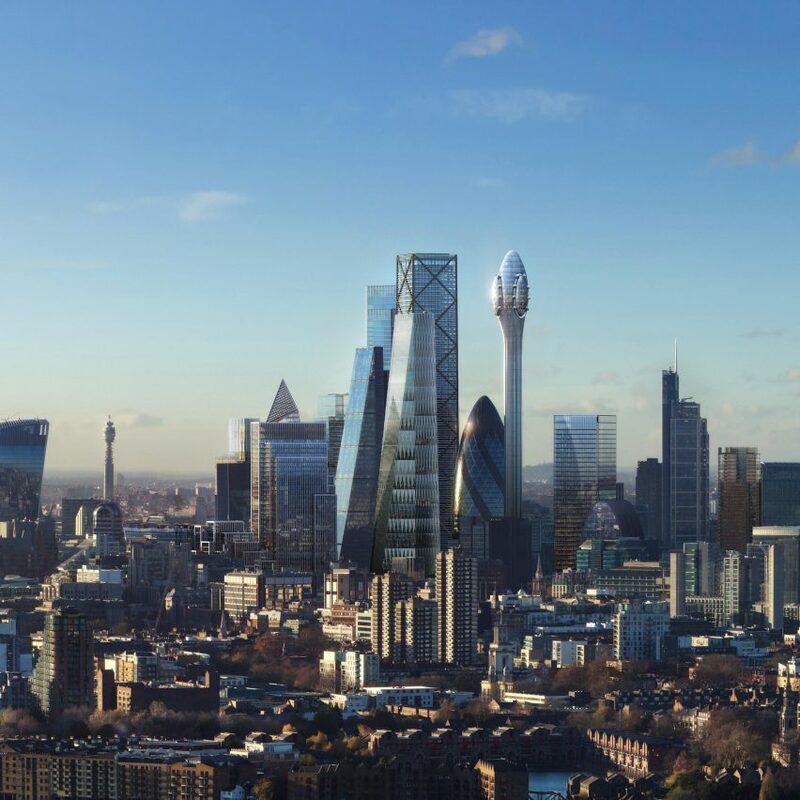 “Its aesthetic inspiration derives from the Gherkin and the proposal seeks to achieve a familial synergy with the Gherkin,” continued the report. It goes on to say that the tower would cause “less than substantial harm” to its historic surroundings, which includes the Tower of London. As acknowledged by the report, the Gherkin originally towered over the other buildings in London’s financial district, but has been overshadowed by the skyscrapers that have sprung up around it in the past 15 years. “In this regard, a striking and eye-catching architectural statement is not of itself uncharacteristic of the underlying aesthetic of the City cluster,” said planning officers. British architect and Peter Cook told Dezeen last year he didn’t think the viewpoint’s design was unconventional enough. The Gherkin was bought in 2014 for a reported £726 million by Brazillian billionaire Joseph Safra, the world’s richest banker according to Forbes, who promised to make the property “even better and more desirable“. However a report from the Greater London Authority (GLA) said it would be in contravention of the London Plan as it “fails to provide free to enter publicly accessible viewing areas”. If approved The Tulip would begin construction in 2020 and open for visitors in 2025. The post The Tulip by Foster + Partners on track to be approved by City of London appeared first on Dezeen.